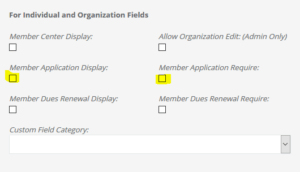 AMO has recently added a new feature to allow Custom Fields to be displayed and/or required on the Membership Application process if enabled. 2. 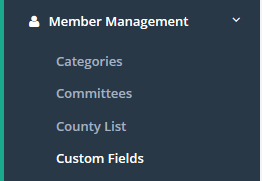 Click the “Edit” Icon next to the Custom Field you’d like to have appear on the Membership Application. 3. You’ll now see a screen like below, check the “Application Display” box to enable this. 4. 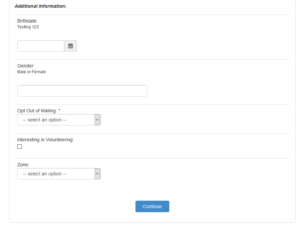 You can also make this Custom Field a required field by checking the “Application Require” box. 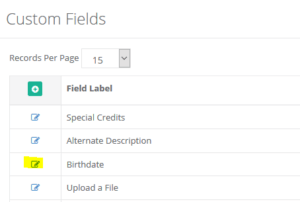 Your potential members will now see any Custom Fields with these enabled under Additional Info when completing the Profile Information part of your Membership Application.